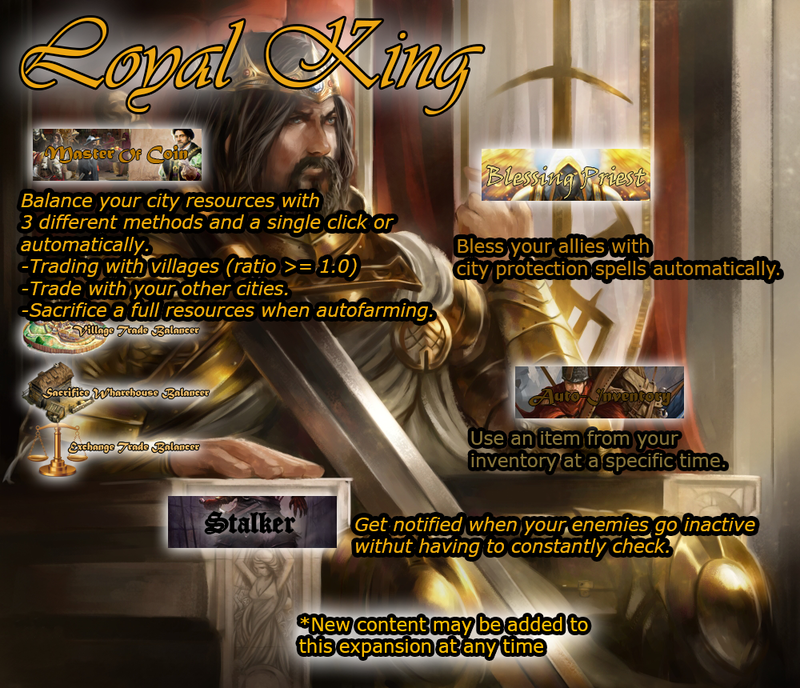 Loyal King is now open! -This expansion is subject to new content beeing added. If you're having issues to purchase, or an error occurs, feel free to contact us. We will reply in up to 24-48 hours. When will these expansions be available for purchase again? Is it not possible to try the expansion for a week or a month? (12-26-2018, 11:20 AM)Papy-one Wrote: Is it not possible to try the expansion for a week or a month? currently we're not giving trials on the expansions.